One of the perks of living in a major metropolitan area is that kids can choose from a huge range of activities, each with distinct benefits for kids. Sometimes a sport that’s off the beaten path is a better fit. Take my 11-year-old, who dislikes competition but loves to do tricks in the water. She has never agreed to swim team, despite numerous discussions. Last summer she enjoyed a synchronized swimming camp, and then signed up for a fall class. 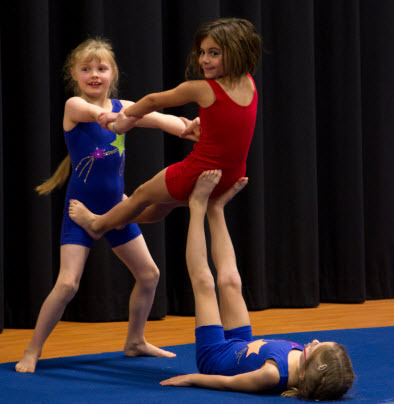 Now I am pondering circus arts for my younger daughter who dislikes team sports. The five activities covered in this article — rock-climbing, karate, parkour, synchronized swimming and circus arts — are really the tip of the iceberg when it comes to unusual, exercise-style class offered in in the greater Seattle area (or any city). 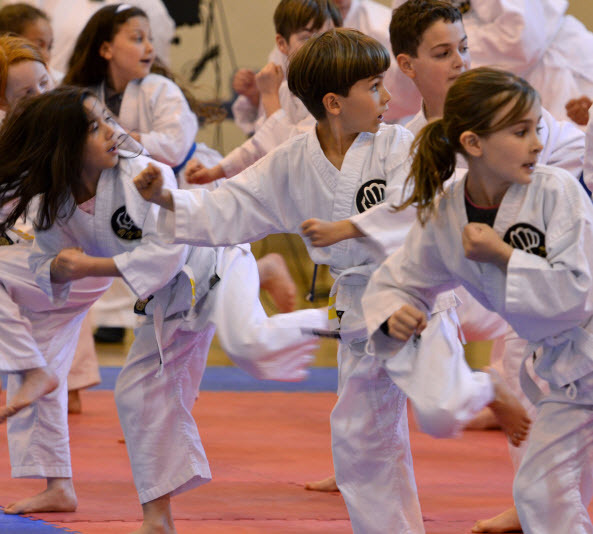 We'd love to hear from you about the classes your kids are enjoying; post a comment! 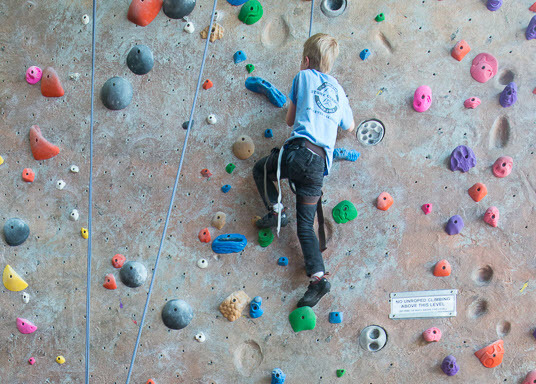 Where: Our area boosts many climbing gyms with a plethora of classes, including Seattle Bouldering Project, Stone Gardens (Seattle and Bellevue) and Vertical World (Seattle, Redmond, Everett). Seattle Bouldering Project takes the technical aspect out of climbing. There are no ropes or harnesses because bouldering is the climbing of smaller rocks. 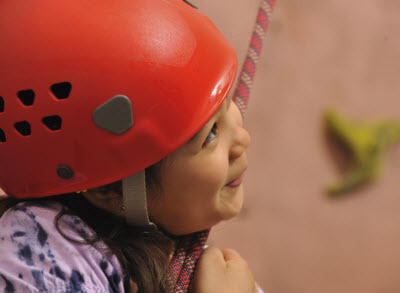 Beth Oldroyd, assistant manager at Stone Gardens, says that many kids who are "not interested in having a ball coming at their face find rock climbing mentally challenging and fun right out of the gate." Bouldering and rock climbing are also great family activities. Before you go: “Yes, climbing is a dangerous activity,” says Oldroyd, “but there is also a safety process that overlays everything a climber does. All of our programs are heavily monitored for safety.” Climbing at Seattle Bouldering Project is essentially like playing at a park, with safety mats lining the floor as people scramble over small rocks. Minimum age/skill level: At Seattle Bouldering Project, youth programs start at age 4 with no minimum skill level. Stone Gardens Junior Programs start at age 5. Vertical World’s youth programs start at age 3. Price range: All the gyms listed have lower rates for members, and prices range depend on your child’s age range and how frequently they take classes. For the younger set, classes can start at $50–$60 per month for the youngest children and go up from there. Check websites for details. Minimum age/skill level: Some studios have classes for kids starting at age 4, while other studios have a minimum age of 6. There is no minimum skill level. Price range: Look for introductory deals, family price breaks and discounts for paying ahead. There is a wide range of prices; the studios listed below range in price from $85 per month to $165 per month, and often there is a yearly studio fee, too. 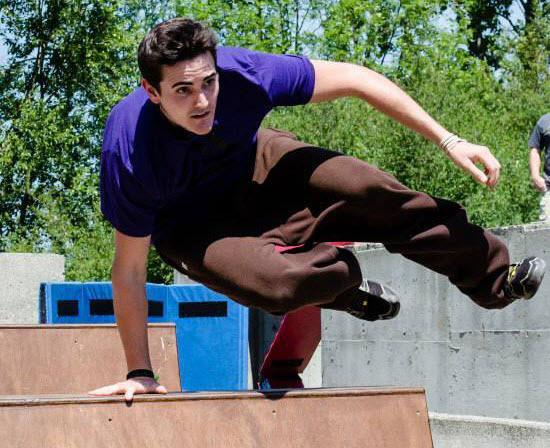 “Ultimately, parkour is about freedom of movement and efficiency. How quickly can I overcome a wall or jump across a gap or squeeze through a little door and move through my environment? It’s also become about self-expression: doing flips and acrobatic things.” says Marketing and Design Director Colin MacDonald of Parkour Visions, located in Seattle’s North Queen Anne neighborhood. He says people have an impression of parkour as a dangerous, extreme rooftop activity, but “parkour is really about play,” he says. In fact, Parkour Visions tracks injuries and it has a lower injury rate than many team sports, he says. “It’s good for both your body and your mind. Plus you can learn to do lots of tricks you didn't think you'd be able to do,” says Parkour participant Ben Huarte, age 11. Minimum age/skill level: Parkour Visions has classes for kids starting at age 3. There is no minimum skill level. Price range: Kids can take their first class for free at Parkour Visions. Ask about family rates. Monthly membership plans range from $95–$155; you can also buy single sessions and packages of classes. Where: Parkour Visions teaches its classes at a 10,000-square-foot gym in Seattle, and also teaches classes in Tacoma and elsewhere. The YMCA and other class providers also teach some parkour classes. Your child may not know of Esther Williams, but synchronized swimming is still an Olympic sport. In the Seattle area, kids can take classes at local public swimming pools or participate in the Seattle Synchronized Swim Team, which practices at the Juanita Aquatics Center, as well as pools in Tukwila and Redmond, and runs summer camps within the Greater Seattle area. There are also teams in Olympia, Federal Way and on the Kitsap Peninsula. Why take it: If your child likes doing tricks in the water, or loves the water but doesn’t want to swim laps compete in swim meets, it might be worth a try. It’s still hard work, but there is a good dose of creativity. There is no clock to race; instead there are beats to count, music, and choreographed moves. Minimum age/skill level: Typically, kids should be at least age 7 or 8 and competent swimmers. Beginner programs at Seattle Synchronized Swim Team start at age 7. According to the website, swimmers should be able to swim two laps of crawl and breaststroke and be comfortable floating on their backs. Price range: You can occasionally try a Seattle Synchronized Swim Team class for free. Weekly classes start at about $85 for seven sessions. 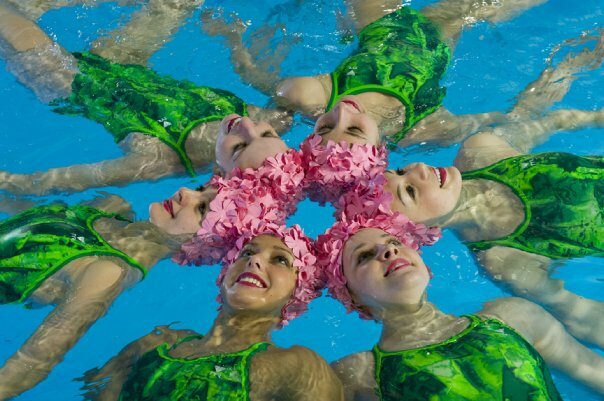 Where: Beyond the Seattle Synchronized Swim Team check your city to see which pools in your area offer classes or if clubs exist (such as the Pacific Waves Synchro Swimming Club in Federal Way and Gig Harbor). The Seattle area is home to the country’s largest circus arts school: School of Acrobatics & New Circus Arts (SANCA) in Georgetown. It offers a wide array of classes, from Baby & Me classes for parents with 2-3-year-olds, tot and kid circus arts classes, trampoline classes, classes for teens and even family circus classes. 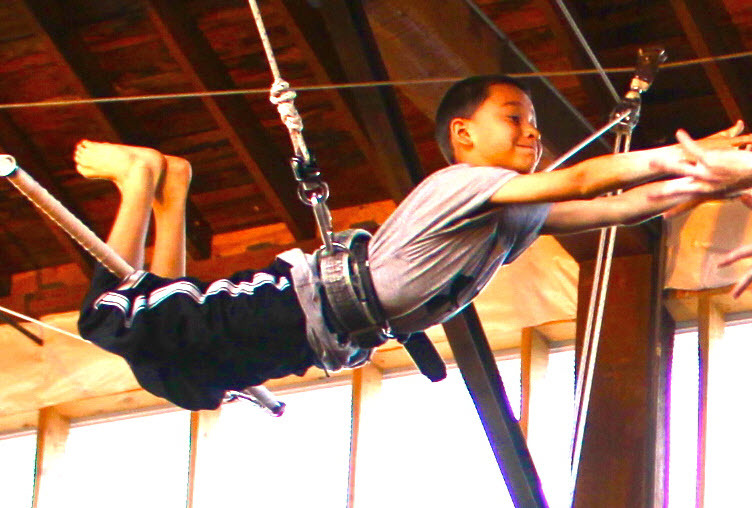 If a kid age 6 and up is specifically interested in trapeze arts, they can give it a spin at SANCA or take classes at Emerald City Trapeze Arts (ECTA) in the SODO neighborhood of Seattle. ECTA also offers aerials arts. Minimum age/skill level: ECTA works with students at every level in every class. SANCA has circus arts classes for children of all ages. Price range: SANCA's prices start at $180 for 12 weeks. ECTA prices start at $55 for an intro trapeze class. There is also a one-time registration fee. Where: In addition to SANCA and ECTA, Camp ZinZanni offers summer circus arts camps for local kids. Note: This article was originally pubiished in Sept. 2013 and updated in Sept. 2014.